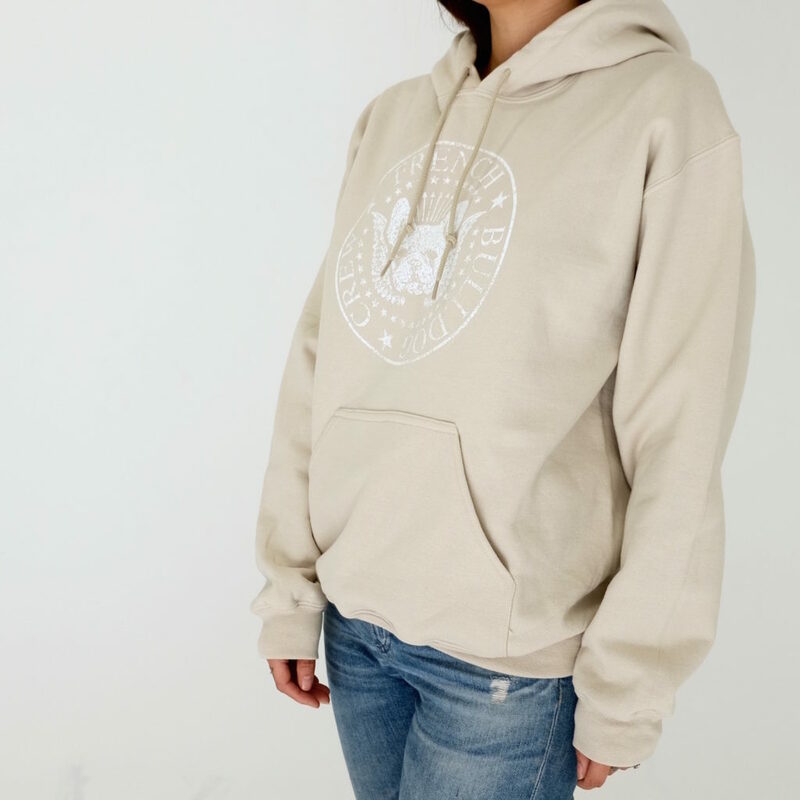 These hoodies are made of 50/50 polyester/cotton pill-resistant air jet yarn with a faded, distressed design. 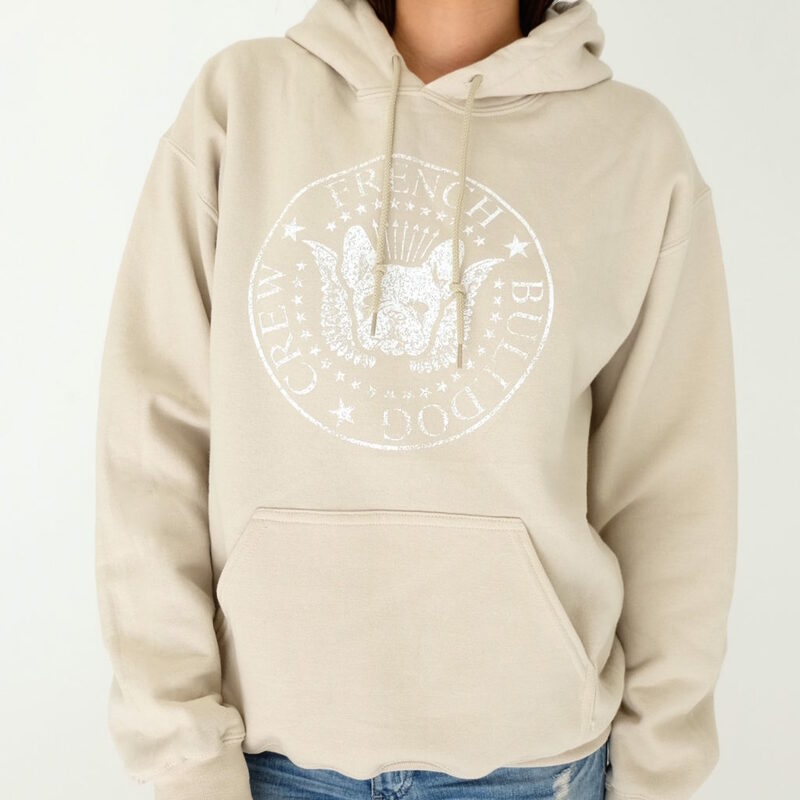 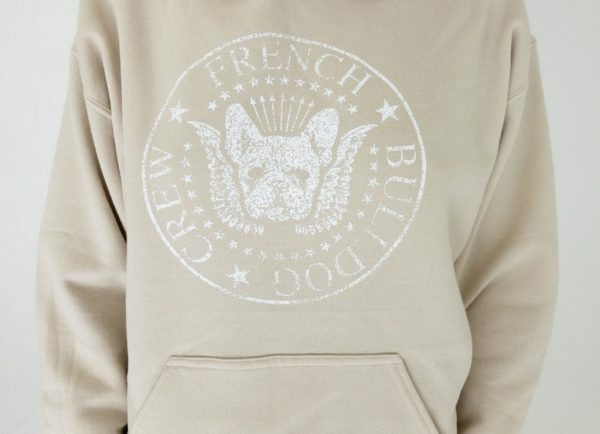 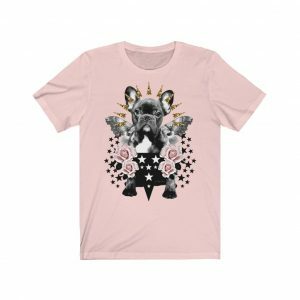 Show off your frenchie love in style! 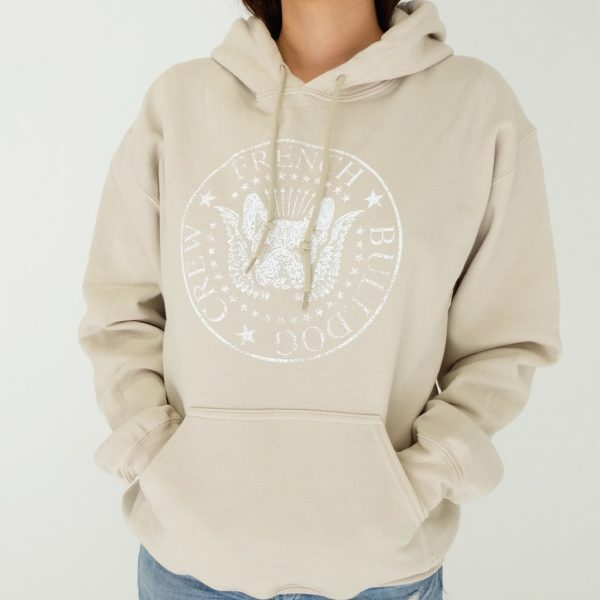 Double-needle stitching throughout + double lined hood. 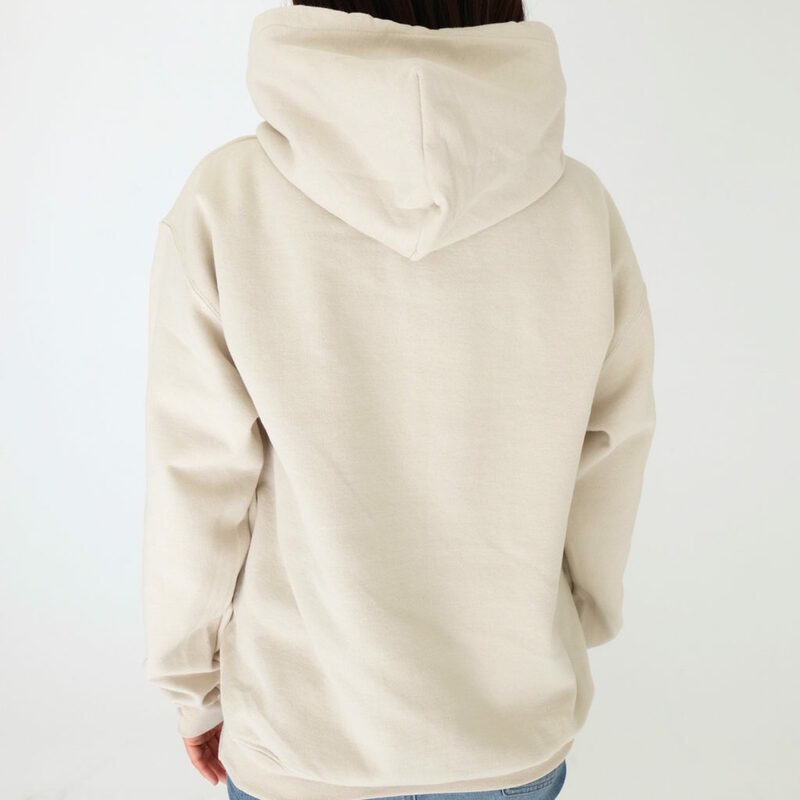 Matching drawstring + pouch pocket. Model is wearing sz M.